Before coming to Wales in 2000, Lisette taught pottery in an Adult Education centre in Birmingham for ten years. 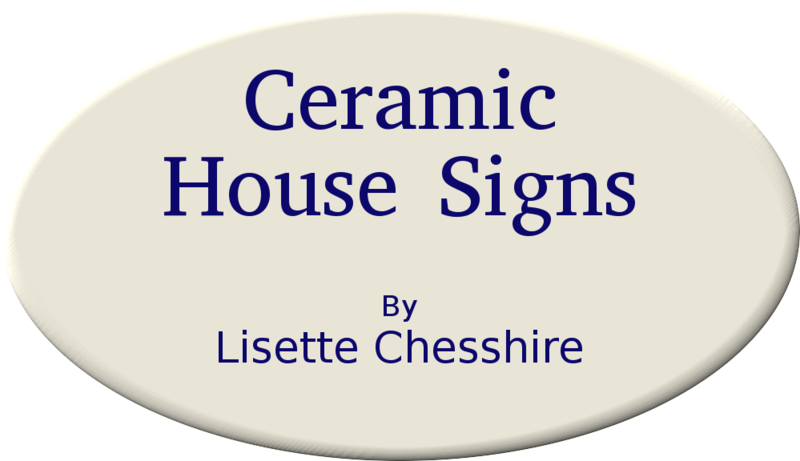 Whilst there she made her first hand painted ceramic house sign as a gift for a friend, who was so delighted with her personalised name plate that she suggested Lisette should make them for other people, and Ceramic House Signs was born. From 2001 to 2011, Lisette worked from a studio at Waunifor, a residential holiday and education Centre in West Wales - see www.waunifor.com - set in the beautiful Teifi Valley area. The surrounding countryside, rich with flora and fauna, is the inspiration for her hand painted name plates and number plaques. 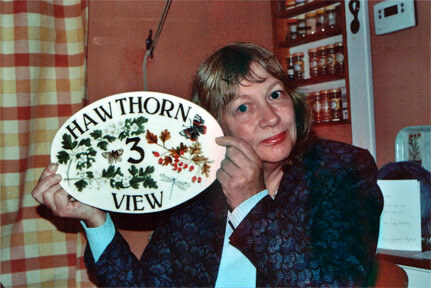 Here she taught pottery to local people and ran residential Craft Breaks, as well as producing her unique handmade house-signs. In 2012, she set up a small studio in her home overlooking the beautiful River Teifi, in order to concentrate on making her house signs, although she still tutors many other crafts at Waunifor for those holidaying in the cottages there, www.craftybreaks.com. Bespoke ceramic house signs and numbers produced at my studio in West Wales. to your specifications before glazing and firing.